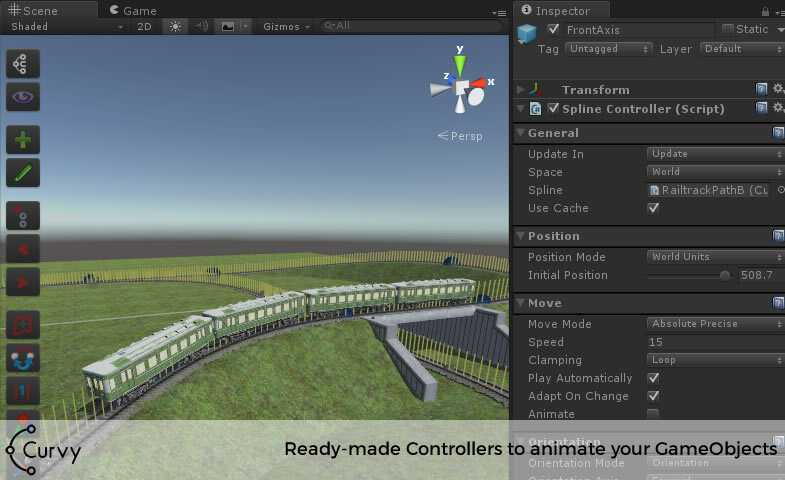 Work with splines in Unity the way it's meant to be! 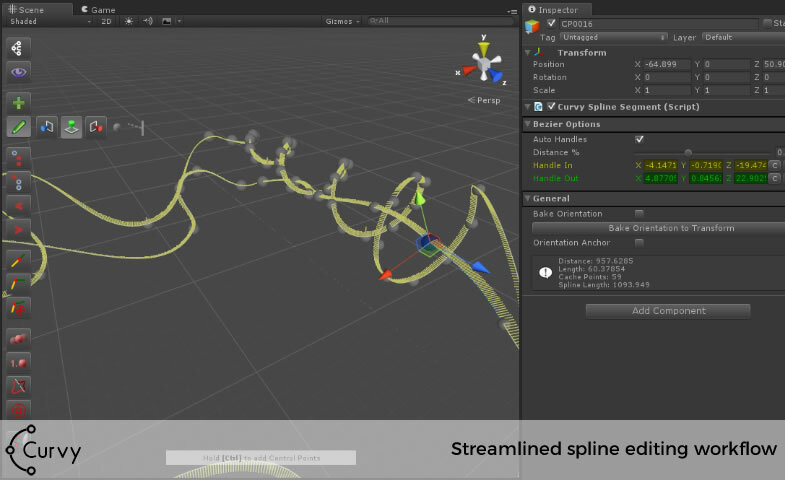 Initially released in early 2013 as an easy to use spline editing tool, Curvy has become the ultimate spline solution for Unity, battle-proven by dozens of studios. 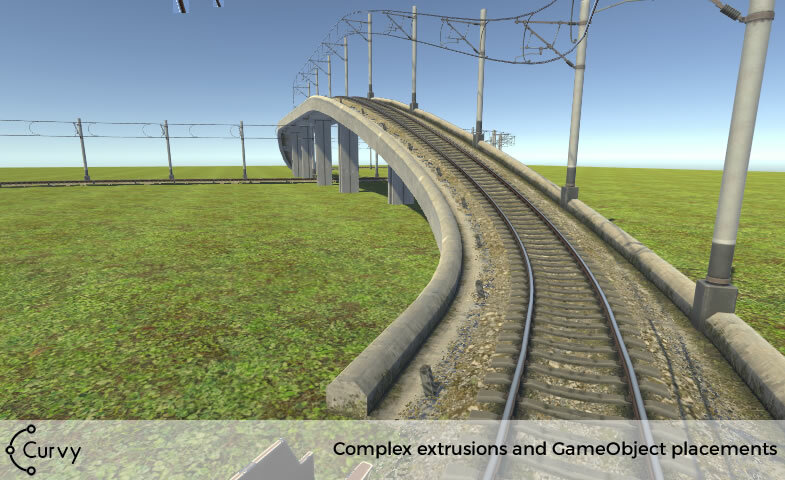 In plus of the information you can find on this page, you can see Curvy at work in this WebGL demo here. You can assign or redefine hotkeys for all available commands! 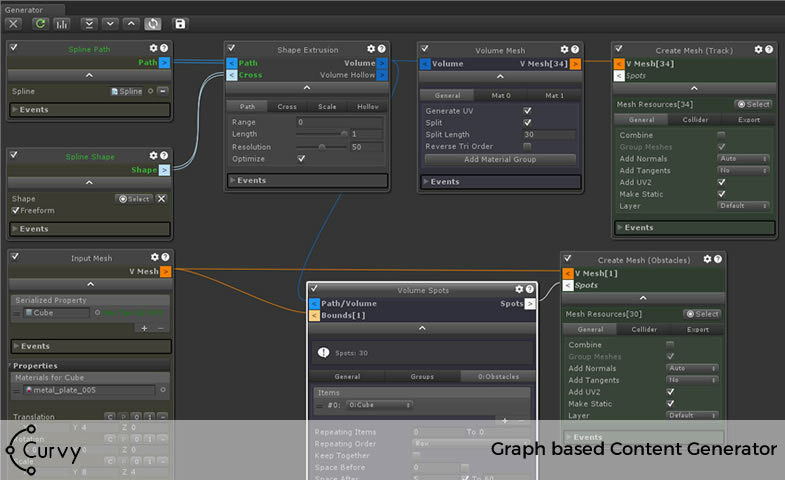 Using splines for motion paths is just the most common usage in game development. Unlock the full power of splines with Curvy Generator! Although part of the Curvy package, it's dimensions and flexibilty would justify being a package of it's own. Curvy was designed for speed. A sophisticated, highly optimized caching system, threading support and object pooling makes it blistening fast even on mobiles! 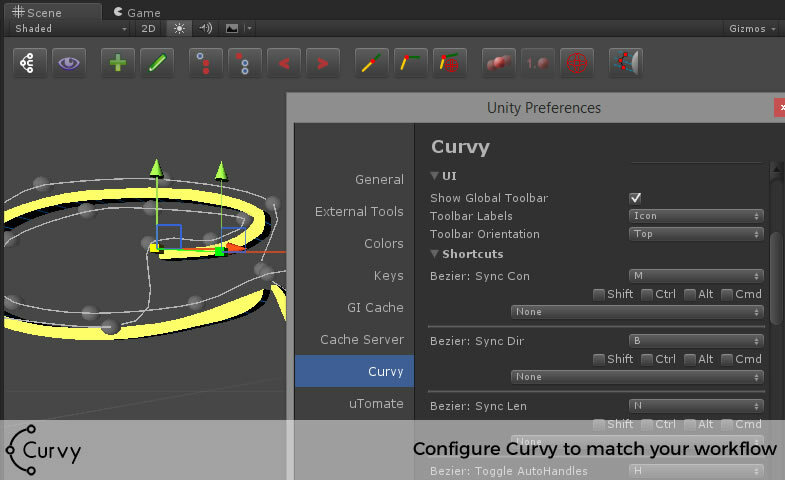 Curvy is available at the Asset Store right now! Ask us using our support forum or the contact page!